Nick finds the magic of friendship in the Bronies. Ryan finds out how Juggalos work. And Mike is here to judge the entire thing. The boys discuss S.E. Hinton, being born with a crack rock in your mouth, Nathan Rabin, The Gathering, marching on Washington, Ozzy Osbourne, The Great Milenko, blood drives, Jack White, MK Ultra, Faygo, and 4chan. Has Nick ever watched the Brony documentary? Where was Ryan going to go for a bachelor party? What's Mike's favorite thing to do while watching Lord of the Rings? 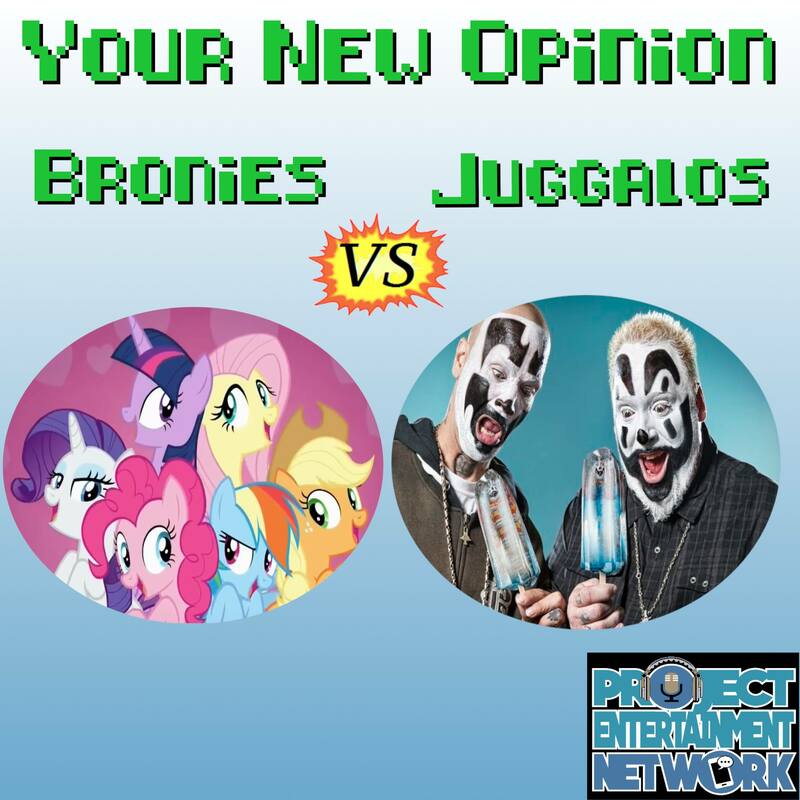 Travel over to Equestria and the Dark Carnival to find out in: Juggalos vs Bronies!